Posted: Saturday, June 13, 2015. 4:09 pm CST. Saturday, June 13th 2015. BMG: Britain’s The Guardian reports that thousands of Guatemalans have camped out in the Constitution Square outside the National Palace in Guatemala City for the last two months, demanding an end to corruption and the resignation of President Otto Perez Molina, whose term expires in 2016. Ahead of elections due in September to elect a successor to the 64-year-old retired military general, there have been successive reports of corruption scandals in the Guatemalan government, everywhere from Customs to Social Security, which has resulted in mass resignations in the Guatemalan cabinet, most notably Vice-President Roxana Baldetti. 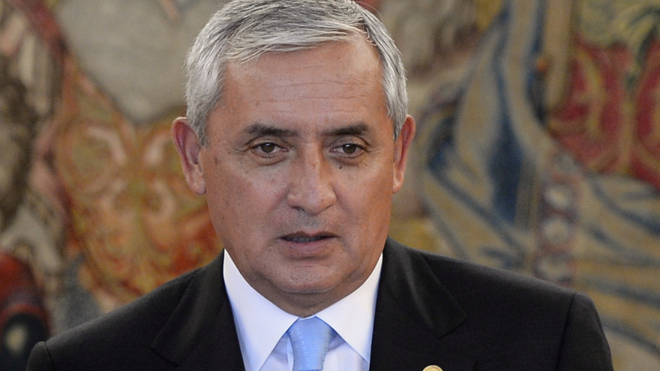 Perez Molina himself is not implicated; however, the Guatemalan Supreme Court ruled this week that a congressional inquiry take place which may lead to impeachment charges against him. According to the Guardian, the primary source of frustration is the younger, social media-influenced generation which act without fear of reprisal, having few memories of the deadly civil war from 1960 to 1996 which killed thousands as the country’s ruling military clashed with indigenous and other citizens. So why does this matter to Belize, which faces its own electoral process closer to 2017? The answer lies in the increasing acts of Guatemalan aggression along the borders and the decision to hold a referendum on its own as to whether to take the unfounded Guatemalan claim to Belize to be settled at the International Court of Justice (ICJ) in the Hague, Netherlands. After resolutely refusing to consider the matter for the last few decades, Guatemala has shown renewed interest in the claim, even as its poorest citizens continue to routinely cross the borders to earn a living by stripping Belize’s forests and killing animals for food and sale, or to take advantage of Belize’s education system. Historian and educator Assad Shoman, who served in Belize’s Government, once wrote that whenever things get too hot in Guatemala’s domestic politics, the Belize issue is dragged out of the closet. However, it appears that the anger of the Guatemalan people crosses ordinary divides and may lessen the effect of this political canard. So as Guatemalan naval vessels conveniently drift into Belizean waters, damaging the Barrier Reef, and as military personnel harass their Belizean counterparts, it is wise to look at what is taking place in Guatemala at present.